Quinolines are neurotoxic drugs that have been widely used in malaria treatment and prevention, particularly in military settings. Poisoning by quinoline drugs, including by the previously commonly used drugs quinacrine, chloroquine, and mefloquine, can cause a lasting disorder named neuropsychiatric quinism, resulting from chronic encephalopathy and associated brain and brainstem dysfunction. Neuropsychiatric quinism is characterized by chronic symptoms that may mimic several psychiatric and neurologic disorders, including posttraumatic stress disorder (PTSD) and traumatic brain injury (TBI). Neuropsychiatric quinism may have been widely unrecognized in veteran populations, and its symptoms misattributed to other causes, including cerebral malaria. Diagnosis of neuropsychiatric quinism is primarily clinical, and management of the disorder is primarily conservative. 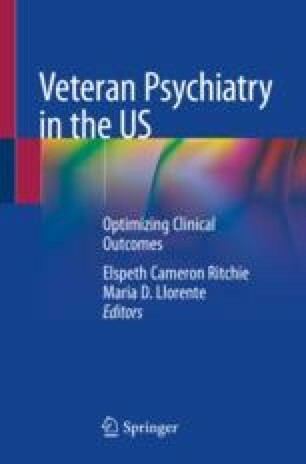 The unrecognized effects of neuropsychiatric quinism in veteran populations are likely to have confounded a significant body of military research and clinical diagnosis. These effects suggest the need to screen veterans for a past history of symptomatic exposure to quinolines, and to approach the development of new quinoline drugs for military use with caution. Dr. Nevin serves as consultant and expert witness in legal cases involving claims of adverse effects from antimalarial drugs. Chansky PB, Werth VP. Accidental hydroxychloroquine overdose resulting in neurotoxic vestibulopathy. BMJ Case Rep. 2017;2017 https://doi.org/10.1136/bcr-2016-218786. Martin AN, Tsekes D, White WJ, Rossouw D. Chloroquine-induced bilateral anterior shoulder dislocation: a unique aetiology for a rare clinical problem. BMJ Case Reports. 2016;2016 https://doi.org/10.1136/bcr-2015-214292.